Producing wine in Emilia-Romagna is a centenarian craft that needs love and dedication. For over 70 years, wines by CANTINA BRASCHI 1949 tell a story of this passion that feeds on patient care of its own vineyards. Gelso Vineyard in Bertinoro, Monte Sasso Vineyard in Mercato Saraceno and Campo Mamante Vineyard in Cesena situated on harmonious hills from which your view can get the Adriatic sea. 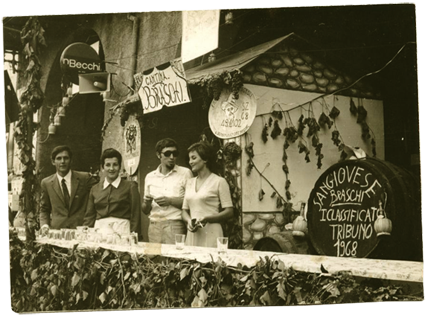 Due to its constant work, CANTINA BRASCHI 1949 has obtained international wine awards; a tradition that still goes on. CANTINA BRASCHI 1949 takes part in the innovative and integrated wine-producing supply chain by ENOICA.